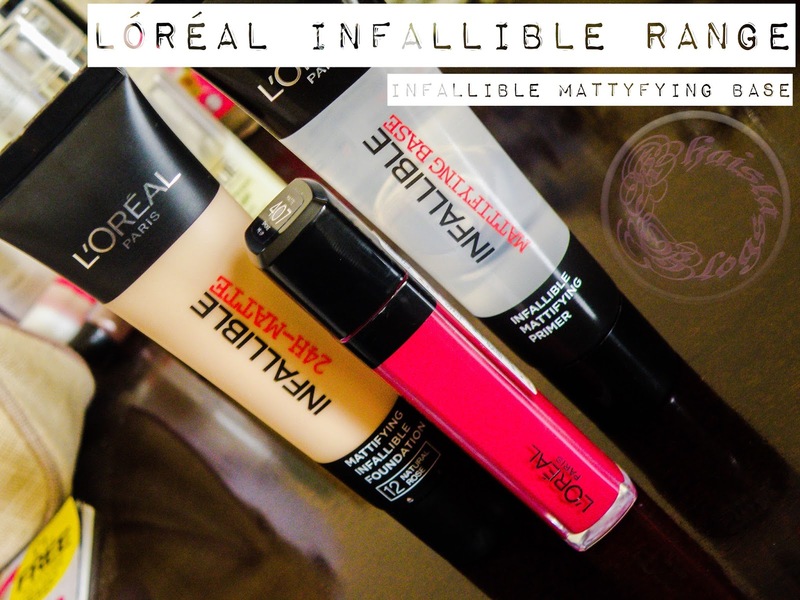 L’Oréal has released a whole lot of new products this year to add to their “Infallible” line. Two foundations (satin and matte), face primer, nail polishes, lip liners, eyeliners and lip products. I picked three products from this line. Infallible mattifying base, Infallible 24H matte foundation and Infallible Mega lip gloss. But Today, I will be reviewing only the mattifying base. 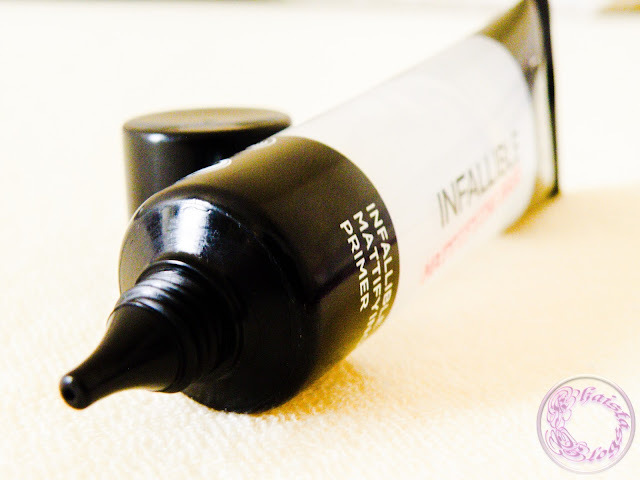 Infallible primer comes in squeezable tubes with nozzle. The packaging is sleek and looks nice. The tube is transparent in the middle and a product can be seen. So you know how much product has been actually used. The mattifying base tube has glossy finish. At the back of tube, clear and easy instructions of application are printed which can be very helpful. 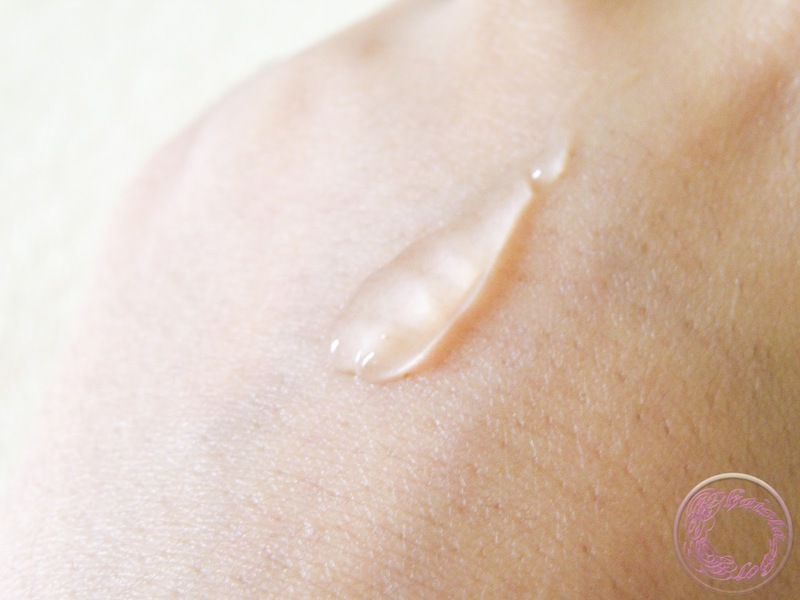 This Primer is a transparent; silicon based product which smooth on skin nicely. The texture is not lumpy or tacky. It doesn't fill in open pores nor make them disappear but kind of blur them out. It instantly mattify skin, smooth out any flakiness or dry patches and provides a good base for foundation. I tried this primer with Infallible foundation and without it as well. I got this primer before the foundation and I was using it under my Bourjois CC cream (review here). With cc cream, it kept my face oil free for couple of hours. But CC cream has a very hydrating formula so I needed a little touch up after that time period. It didn't leave my face completely shine free. However, my face was less oily and shiny than normal. 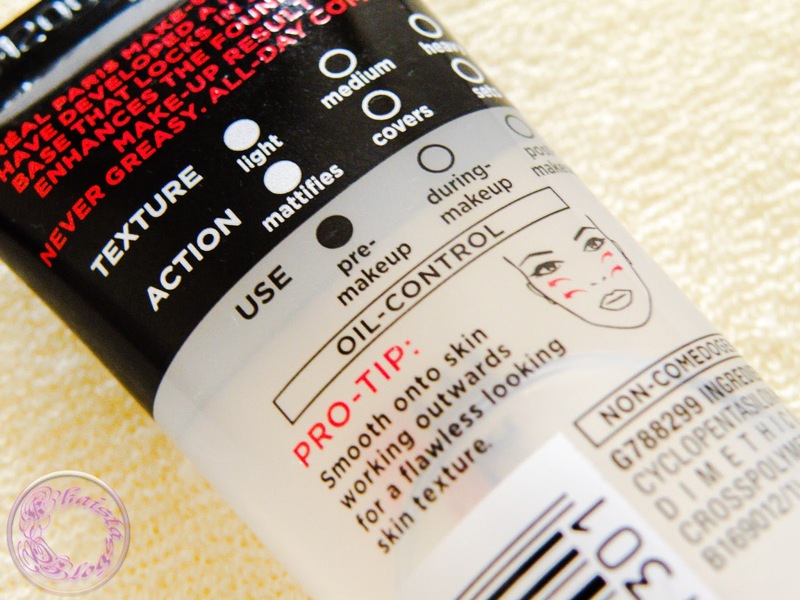 This primer kept my foundation in place all day long. For that I love it. 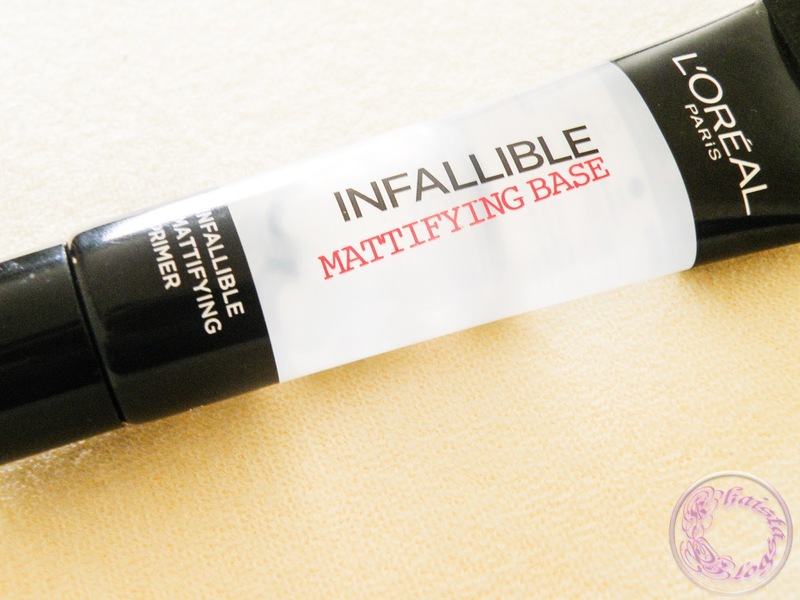 My experience on this primer with Infallible 24H matte foundation will be discussed in my next post where I will be telling you all about the Infalliable 24H mattifying foundation. So keep watching this space for that. 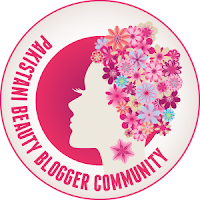 If you are allergic by any means to silicon or you get block pores easily then you may want to avoid it. I don’t have any problem in particular with silicon based cosmetics so I am fine with it. However, at the end of the day a good cleansing of face is must. Removing this base can be slightly annoying. When I was cleansing my face using Liz Earl skin polish, I felt it like a glue layer sitting on top of my skin which is definitely not a very pleasant sensation. I had to put a tad more pressure to remove it properly especially around nose area. Other than that it is a nice little product for the price tag. It is currently available online on Superdrug website and Superdrug and Boots stores. I hope you have enjoyed the review. Keep checking my blog as I will be reviewing the foundation and lip gloss soon. I must give this a try as MUA has discontinued its Matte primer and I can't find anything like it. This sounds good !! My fav primer has to be benefit porefessional but i need to give this one a try =D !! I bought this combo from superdrug. That whole set contain of- primer, foundation, setting spray and blender. I love this primer most. This is so good for oily skin and lasts so long! Also, this makes skin super smooth! I got this set while doing my makeup lesson by expert course.